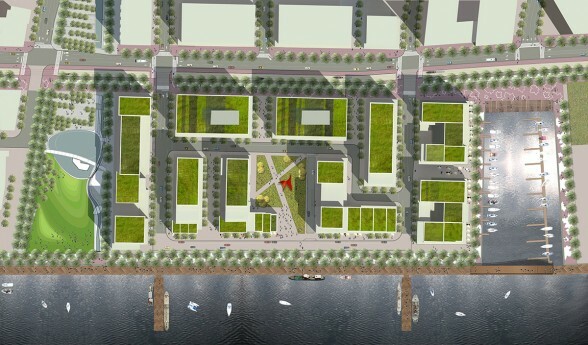 East Bayfront Urban Design Guidelines – Bousfields Inc.
Bousfields was retained by Hines to provide planning and urban design services relating to the redevelopment of Waterfront Toronto’s Bayside, a 5.3 hectare site situated within the East Bayfront precinct of the central waterfront. The precinct plan encompasses approximately 190,000 square metres of new development including residential, employment, retail and cultural uses. The mixed-use redevelopment proposal also includes the creation of a park, a waterfront promenade and pedestrian linkages. Bousfields worked extensively with both Waterfront and City Staff, EEK Architects and other consultants to prepare the Draft Plan of Subdivision and Urban Design Guidelines, and presented the Guideline document to the Waterfront Design Review Panel. Bousfields was also responsible for project management of the development applications including preparing the draft zoning by-law. The first phases of the development are now being marketed.